Janine K. Iannarelli, president, Par Avion Ltd.
Janine Iannarelli, president of Par Avion aircraft consulting, based in Houston, Texas, has weathered the storm, but after 17 days with international deals on hold she wasn’t excited by the solutions the U.S. Congress and executive branch came up with to deal with its debt and budget problems. The way Iannarelli tells it, when the FAA aircraft registry shut down, sales deals shut down with it. “New aircraft couldn’t be delivered and any transactions that needed the registry basically had to wait,” she explained to AIN. For Par Avion, which specializes in overseas sales and acquisitions, the shutdown meant aircraft waiting for N-numbers for importation were delayed. “Now that things are restarting I am noticing some prioritization. The international transaction I have will close about five days after the restart, according to my escrow agent,” she said. But it’s too late for some of the interior and paint work that was scheduled for the aircraft. It all must be rescheduled, and some might have to be done at other shops, because of scheduling conflicts. “Those are the unseen costs,” explained Iannarelli. “For those shops, that work was, well, perishable. When the aircraft couldn’t show up, maybe they were able to fill the slot, maybe they weren’t. And if they weren’t, then that time, and the money, is gone now.” In the case of her deal three vendors were impacted, losing work booked weeks in advance. And the question remains: what happens in three months? Will we be back in the same circumstances? And how can aircraft brokers plan for it? 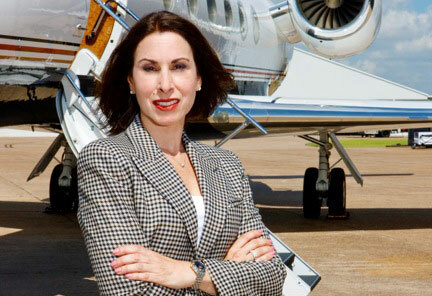 Iannarelli, who is a long-time member of both Women in Aviation, International (Booth No. C10939) and NBAA, will be available at the WAI booth today from 2 to 3 p.m. to share insights into aircraft consulting and guidance for others seeking to advance their business aviation careers.